In Baseball’s All-Time Best Hitters, biostatistics professor Michael J. Schell makes adjustments for eras, leagues, ballparks and everything else to determine the greatest hitter of all time. The answer was Tony Gwynn. Not Ty Cobb. Not Rogers Hornsby. Not Ted Williams. The greatest hitter of all time died Monday. He was 54. The greatest hitter of all time had 3,141 hits, 19th all time. He hit .338 for his career, 20th all time. He hit .300 for 19 straight seasons. Only Ty Cobb was better. He won eight batting titles. Only Cobb had more. He won his first batting title when he was 24 years old. He won his last when he was 37. He hit .394 in 1994, when a players strike ended the season on Aug. 12. He hit .368 over a five-year period. Ted Williams never had a stretch that good. Gwynn isn’t just the best player in Padres history. He is San Diego. He played left field and point guard at San Diego State. He was drafted by the Padres and the San Diego Clippers on the same day. After he retired, Gwynn coached San Diego State’s baseball team, which plays at Tony Gwynn Stadium. The greatest hitter of all time played all 20 seasons, all 2,440 games for the Padres. Only 10 other players who played their entire career since free agency played at least 2,000 games for only one team — Alan Trammell and Lou Whitaker, Craig Biggio and Jeff Bagwell, Cal Ripken, Derek Jeter, Bernie Williams, Chipper Jones, Barry Larkin and Edgar Martinez. Gwynn was inducted into the Hall of Fame in 2007, winning election with 97.6 percent of the vote. Only six other players received a higher percentage — Ripken, Cobb, Tom Seaver, Nolan Ryan, George Brett and Hank Aaron. The greatest hitter of all time faced Greg Maddux 107 times, more than any other pitcher. He hit .415 with no strikeouts. Against John Smoltz, he hit .444 with one strikeout. He hit .321 against Orel Hershiser, .321 against Fernando Valenzuela, .318 against Mike Scott, .303 against Tom Glavine and .302 against Nolan Ryan. 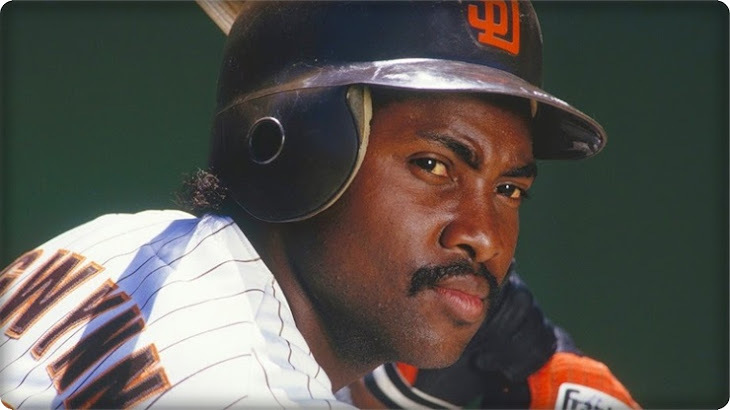 Gwynn struck out just 434 times in 20 seasons. Mark Reynolds equaled that in two seasons. He had more doubles than strikeouts in 11 seasons. The greatest hitter of all time could run and field, too. He had 56 stolen bases in 1987, second in the league. He averaged 40 stolen bases over one four-year stretch in 1980s. He won five Gold Glove awards in right field. Gwynn had 13 operations in 20 seasons, eight of them on his knees. He played with a sprained thumb in 1988 and was hitting .246 on July 1. But he hit .406 in July, .370 in August and .291 in September. He hit .313 to win his third batting title. He was the greatest hitter of all time. This story originally appeared on Raleigh & Company.